Forrest Simon has combined decades of ocean experiences, multiple Freedive certifications, competitive freedive training / experiences, innovation and his professional skills in curriculum developement to bring the Freedive Community a "One of a Kind" approach to Freedive Instruction. Freediving is more then just swimming up and down a line while holding your breath. It's more then the meters in depth nor the seconds in apnea. It's about the experience.... the underwater journey we embark on when we explore, spearfish, pratice uw photography, or simply just the joy of being underwater, breathless, disconnected from the air filled world above. Freediving to the next level!
" I had the opportunity to train with Forrest while visiting down in Florida and I must say it was truly game changing. I have been freediving and Spearfishing for around ten years now but have never focused on only freediving. I have always dove with talented freedive spearos and hunted up to 100ft, but have never in my life seen someone freedive as good as Forrest. He personally spotted 4 of us diving 100-140ft and was with us every step of the way, providing excellent feedback and encouragement. He is so comfortable in the water and is such a great instructor I would recommend him to anyone wanting to learn to freedive or even to sharpen your skills if you are already a great freediver. I set two personal records in a short time diving with ease after listening to Forrest. Hands down one of the nicest and down to earth guys you will meet. Sign up with Go Native Freediving if you want the best instruction anyone can give." 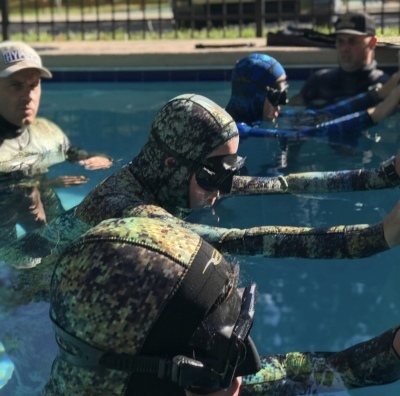 " We signed up, pre hurricane Michael, for a @go_native_freediving certification. Then our plans changed so we couldn't attend the course. The owner Forrest actually set up an amazing private certification so we could get our freediving certification! After the first day of amazing instruction and a new breath hold record for me, I woke up day two with congestion. We still went through day two of instruction without pushing my inability to equalize. Little did we know my problem equalizing was due to an ear infection that would continue for days after the certification. Everyone was completely understanding of the randomness of my ear infection and offered to retest my dives after it went away. Go Native's services are above par! Their pricing is amazing! But the people... Are what makes this company truly special. " Designed to refine and improve your freediving skills. allowing you to progress slowly while learning how your body performs during apnea - suspension of breathing. For advanced freedivers who want to approach elite freediving lives. You’ll learn to bring your static apnea, dynamic apnea, free immersion and constant weight skills to the next level. Turn your freediving passion into a profession. This instructor course is for the avid freediving and sharing details of their latest adventures. 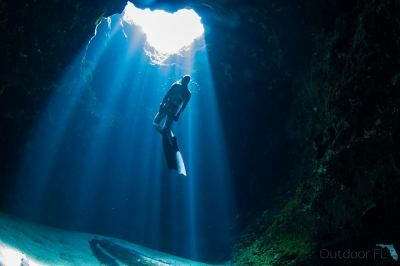 COME LEARN with us, and dive the incredible Florida Springs, Key Largo, West Palm Beach, or Key West at one of North Americas PREMIER Freedive Facilities! Amazing locations and an experience to remember! Go Native Freediving teaches courses of all levels including PADI Basic Freediver,PADI Freediver, PADI Advanced Freediver, PADI Master Freediver, and PADI Freediver INSTRUCTOR courses. Go Native's focus on SAFETY , MINDFULLNESS and PERFORMANCE driven curriculum touches on all aspects of Freediving. And with a student to teacher Ratio of 4:1, as well as Multiple Open Water sessions, Go Native assures MORE time per student/instructor as well as more time in the water Developing valuble skills which make Go Native Courses the most effective on the market. !!!! NO BOAT FEES !!!!! WONDER IF FREEDIVING IS FOR YOU? !!! SIGN UP WITH A BUDDY AND GET $200 off EACH !!! Go Native Freediving is proud to offer North America's 1st Freedive Instructor Development Camp of it's kind! This month long program will run you through all levels of the PADI Freediver program, PADI Basic, Freediver, Advanced and Master Courses. As well as the PADI Freediver Instructor Course and EFR Instructor Course. This Program will also include a month of unlimited Freedive Training along side Go Native Freedive Instructors/students. You will live on site at the Go Native Facility, learn the in's and out's of a succesfull freedive business, assist with Freedive Courses and leave this program ready to start your own Business as Certified Freedive Instructor.